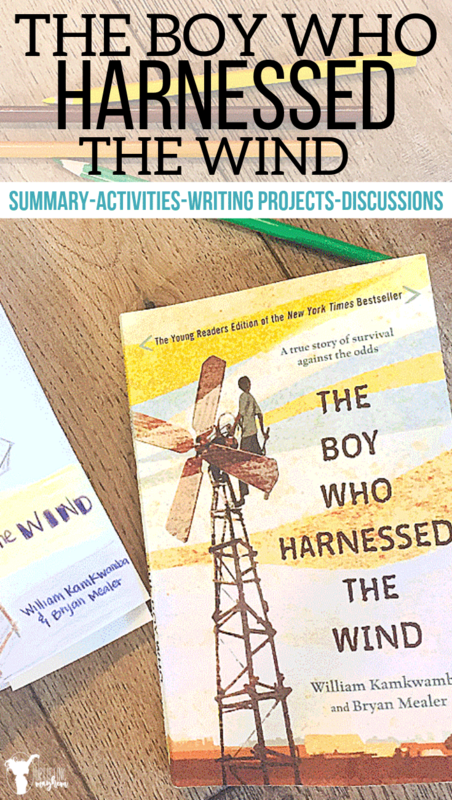 The Boy Who Harnessed the Wind summary, activities, writing projects, discussion ideas and so much more! 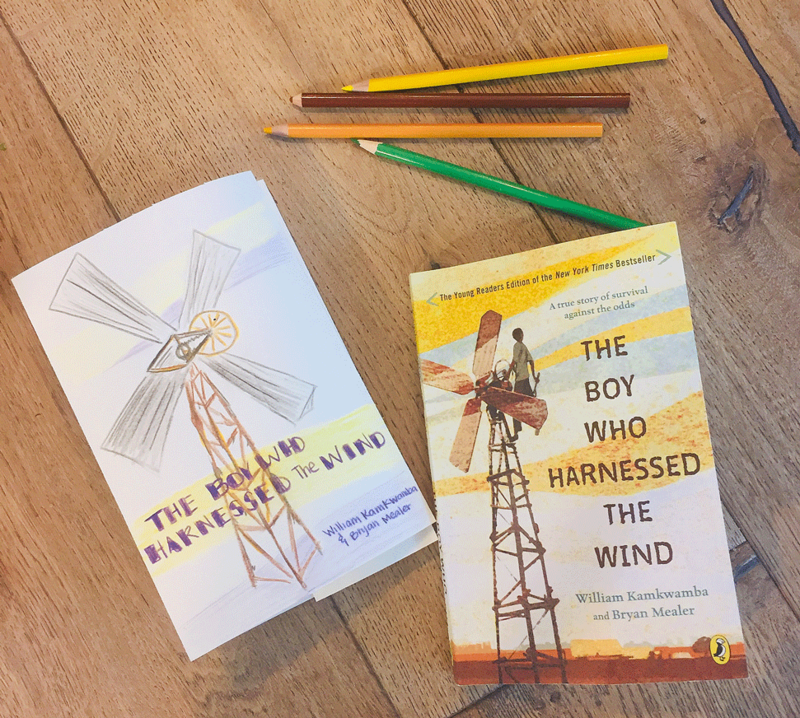 The Boy Who Harnessed the Wind is not only a fantastic book to read aloud to your kids, but it is a book that contains what I like to call book inspiration! Book inspirations are ideas that help you dig deeper into a book. This post gives you a lot of book inspirations that will cover a lot of different subjects. Ideas like fun hands on activities, writing projects, and discussions you can have around the dinner table! As a homeschooling mom I am constantly looking for ways to teach my kids that is uplifting and engaging. I have found that most books have multiple topics that you can take and learn from. This book has amazing opportunities for your kids to learn even more. It becomes exciting because your kids are doing and learning the same things as the character in the book. It makes the book you are reading come alive even more! 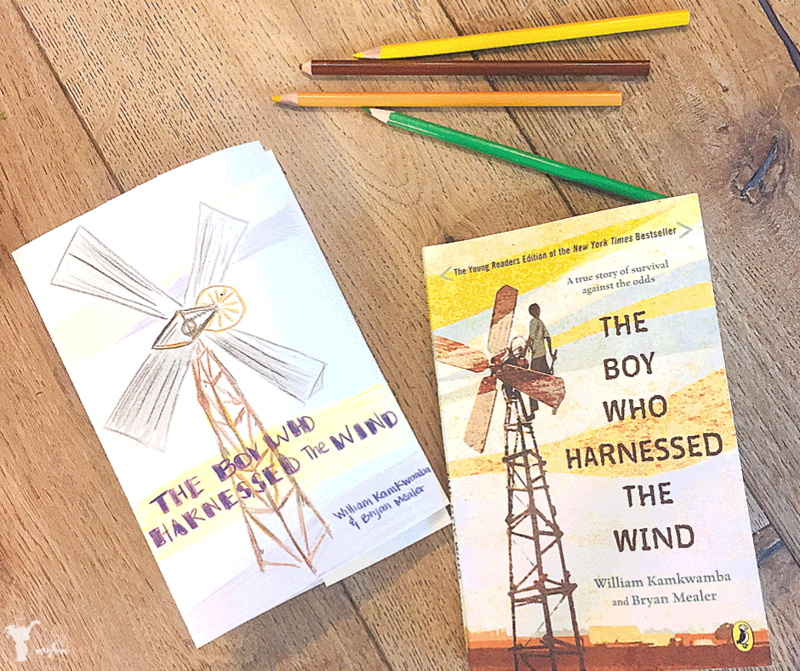 Based on a true story, this book is written by William Kamkwamba, who discovered what the wind was capable of doing and ultimately saved his family from starvation. One thing that you should know about this book is that it didn’t happen 100 years ago when electricity and running water didn’t exist. This main plot of this story occurs only 19 years ago, around the year 2000. Imagine what your life would look like if we did not have running water and electricity. We would not be able to accomplish most of what we have already done today. Well my friends, people still live like that today. It begins in a little village called Malawi where there is very little electricity and no running water. Everyday life is spent on fulfilling the basic needs of life. There main source of food comes from corn. In Malawi there are 2 seasons, wet and dry. Because of this there is only one planting season since running water or water pumps do not exist. Not only do they not exist, everyone in this book have no idea that it’s even possible to pump water to the fields. 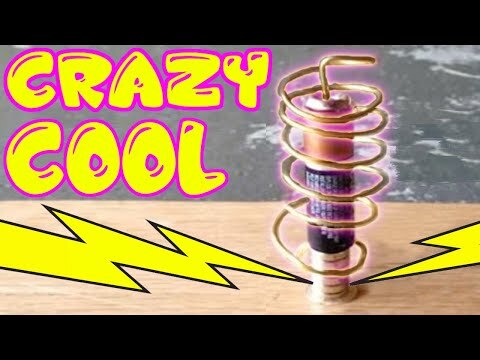 In fact, when William told others that he could create a windmill to bring electricity to their home and pump water to their fields, he was called crazy. William Kamkwamba at a young age was very observant to the world around him. He loved school and was a sponge in regards to learning. School isn’t like it is in the United States. Every student has to pay fees to be able to attend, making it sometimes impossible for students to go because of lack of money. One particular year during the wet season, because of the logging industry, Malawi flooded resulting in the loss of many crops. Their harvest was meager compared to previous years and the option to go to the local Walmart for more food wasn’t there. This was a huge worry and problem for everyone around. The government was corrupt and did not come to their aid. For almost a year this village lived off of their harvest that would normally have lasted 2 months. They survived on one meal a day. Many died, and everyone was extremely malnourished and skin and bones. Everyone became desperate. William, not able to go to school, spend lots of his time in the library learning about electrical power. Through much research and testing, he built a mini windmill that powered a radio. However, to create a bigger one, he needed supplies that he didn’t have. It took a long time, but through the help of his friends, family, and the local dump yard, he built a larger windmill that brought power to their home. Eventually he made it so they could have two planting seasons, making it so their family never went hungry again. Now, for the additional education that you can do with your kids. This list allows you to find out what activities come from the book before reading it so you can be prepared. Many times for me, we are reading a book and I have an idea of an activity we could do, but I don’t have the items needed. Then the idea is forgotten and the opportunity is passed. The subjects that can be covered with the items below are, geography, science, math, writing, foreign language, history and other fun activities. That is a lot of subjects covered from one book. I have provided YouTube Videos in this post for your convenience. However, this is a test run to see how fast things load. If it is terribly slow, I will just add links that you can follow to YouTube to watch the videos on YouTube. We will try this first. 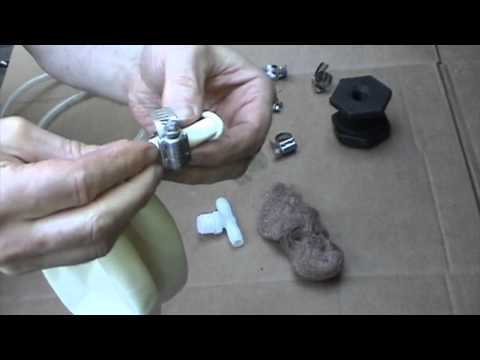 #1 – PG 20 – Make trucks out of half and half cartons and wire. 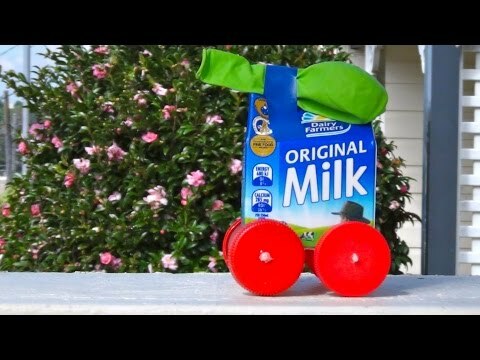 Great way to recycle old milk cartons. 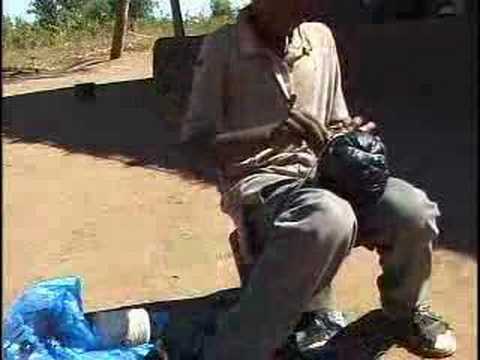 #2 – PG 24 – Make a soccer ball out of grocery sacks. This would be such a fun activity for the kids. 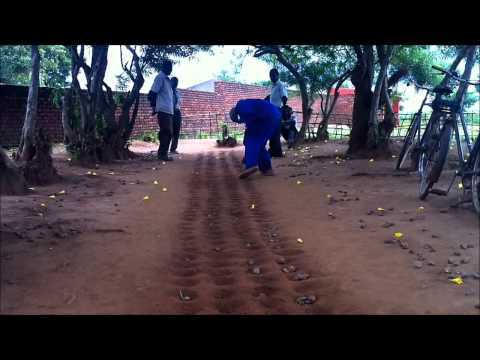 This video is of some men playing this game in Malawi. This game is of some kids playing the game a little bit faster so you can see what it is. There are lots of videos on how to play this game. Just go and look it up if you are wanting more than this. #5 – Gather a bunch of garbage and junk lying around the house and create anything. This book is all about creating something with the materials you have. Be creative! My boys LOVE to do this. Start to save some of your garbage and when you have a good stockpile, let your kids imagination go to town. #1 – PG 25 – Write a story folklore and share around a candle at night. #2 – Pg 51 – He was curious about everything. Write 5-20 questions you have about something you don’t understand. Take at least one and learn about it. #3 – If you could only eat one meal a day what would it be and why? #4 – PG 82 – Learn about supply and demand and write about how it works. #5 – Write a cover jacket for the book. My boys and I recently did this and it was so fun! They design the front cover, write along the spine, write reviews on the back cover, write a summary of the author on the inside back flap, and the summary of the book on the inside front flap. This is a perfect section to get out a science journal. There are so many pictures and tons of information on these items. Print out pictures and put it in your child’s science journal. Label them, color them, define them. Anything that sparks interest, find a way to get it in your science book. #1 – PG 25 – Learn about mamba snakes. William had to deal with these poisonous snakes. 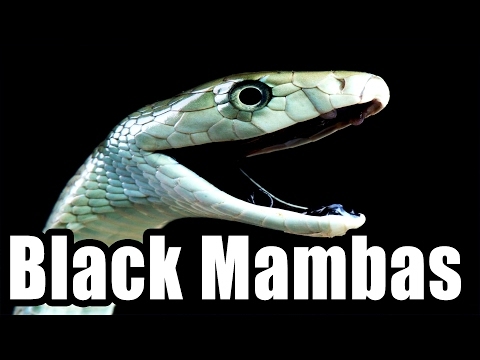 There are so many YOUTUBE videos on Mamba Snakes. Draw them, read about them, color them. #4 – PG 50 – Learn how gas powers a car? #5 – PG 51 – How do CDs work? #6 – PG 52 – What is a dynamo? 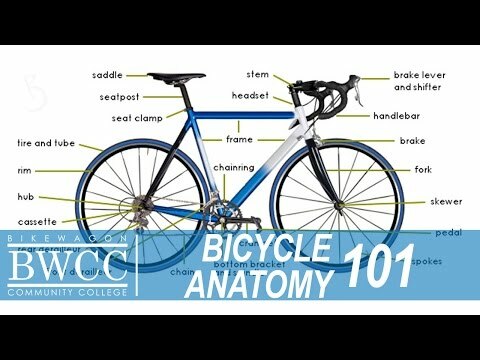 The best thing for this is to look at a real bicycle, but if you don’t have a bike than here is a quick video. Find the bracket “gav” in the middle that is attached to the bike’s pedals and refer back to the book and learn about the parts that William talks about. 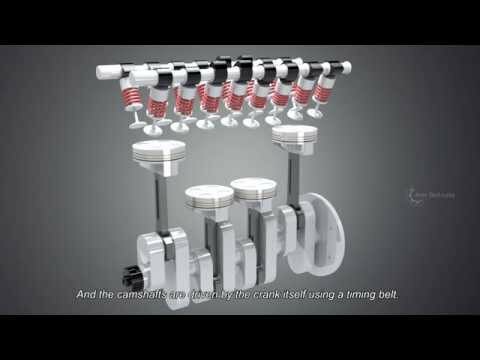 #9 – PG 161 – Do you know what a piston and shock absorber is? If not, go and research it! #10 – PG 193 – What is dissipation? You can get into higher level math with this as well. 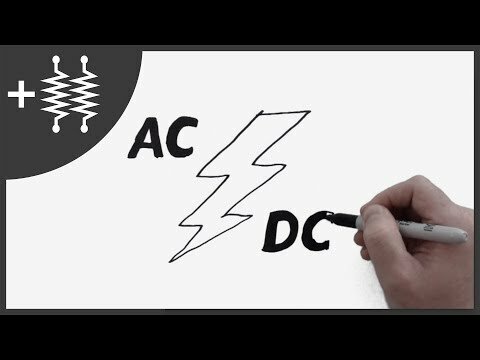 #11 – PG 205 – Conductors of electricity – Learn about what are some conductors of electricity. Oh the world of magnets! 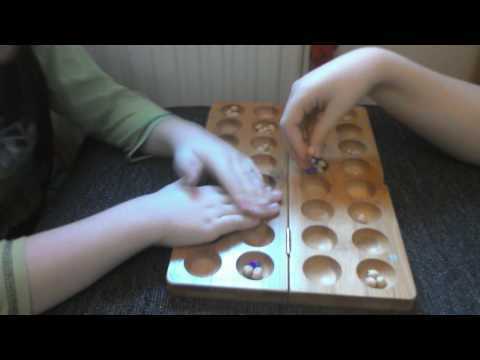 My boys love magnets and love to play and experiment with them. There are so may different projects out there for various levels of genius! 🙂 Research with your kids and have fun with this! 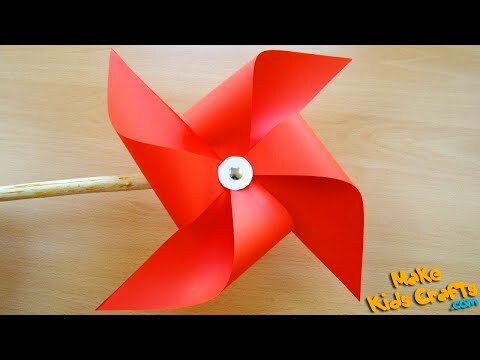 Here is a great activity for your kids to tinker around with. Wowsers! This is great and so educational! Definitely an eye opener. I started laughing during this part of the book. I can only imagine what his mother was thinking after his bioga exploded in her kitchen. When you see pictures of little kid with swollen bellies, it is because of kwashiorkor. Learn more about this and journal about it. #3 – PG 128 – How to make a safe Latrine? This is a huge problem in different areas around the world. You could learn about these problems and find ways to help fix the problem. #2 – PG 233 – Deforestation creating droughts and floods?? 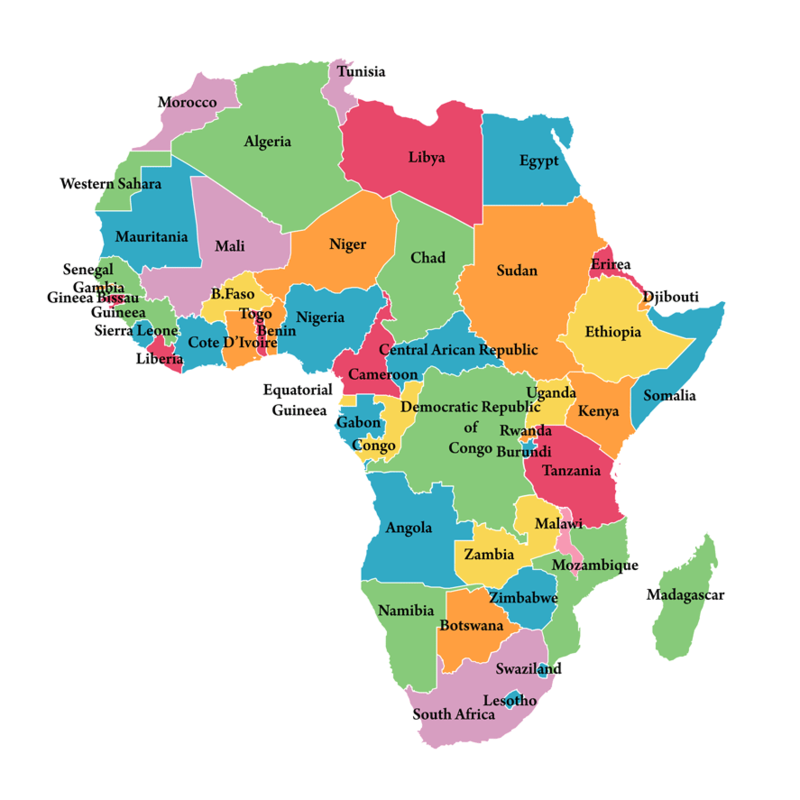 #3 – PG 261 – Kilimanjaro mountains – Where are they located? How tall are they? #1 – PG 27 – Learn about the Nomads soccer team. Where are they from? Who was on their team. Where did they play? Look up Bob, “The Savior” Mpinganjira and learn more of him. Was there a game online that you can watch? Here are a bunch of different recipes from Malawi that your family can try out. #1 – Keep a running list of words from their language. #1 – PG 73 – They have 2 months of maize with 210 days left before harvest. How many days remain? #2 – Out of 70 students in school, only 20 remained who were able to pay their school fees. How many had to return home? What is the percentage of students who had to return home? 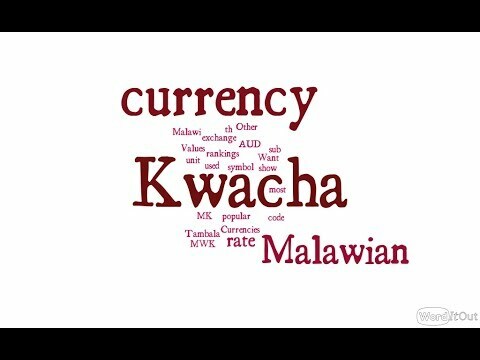 #3 – How much is Malawian money converted to the US dollar? #1 – On PG 80 William’s father announced they were going to sell the last of their food. To William this didn’t make sense. Discuss how making cakes to sell with the last of their flour was a good thing? #2 – Discuss the importance of an education. Seeking knowledge was what helped William’s family. #3 – Talk with your family about sponsoring a child in Africa. When you do this, you give a child an education that can change their life! My dear friend has created an opportunity to do this, just check it out here. Doing this while studying this book will have a lasting impact on your children’s minds. Here is a PDF of this same print that you can put on your wall. 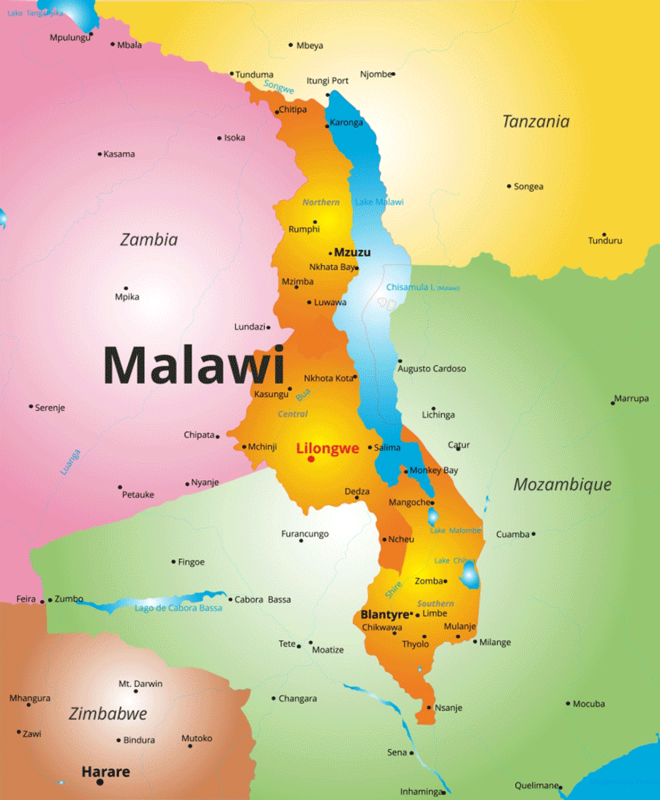 #3 – How many people live in Malawi? I’m sure there are so many other ideas and activities that you could do, but this will definitely keep you busy for a while! Education is what you make of it. You can create copy work from sentences in the book. Have your older kids find parts of speech through out the pages. Focus on two literary elements throughout the book and be on the lookout for just those two. I hope you have so much fun with this book!! I would love to hear your experiences! Tag me over on my Instagram @upliftingmayhem and post your pictures and experiences that you have regarding this book!! See you soon!